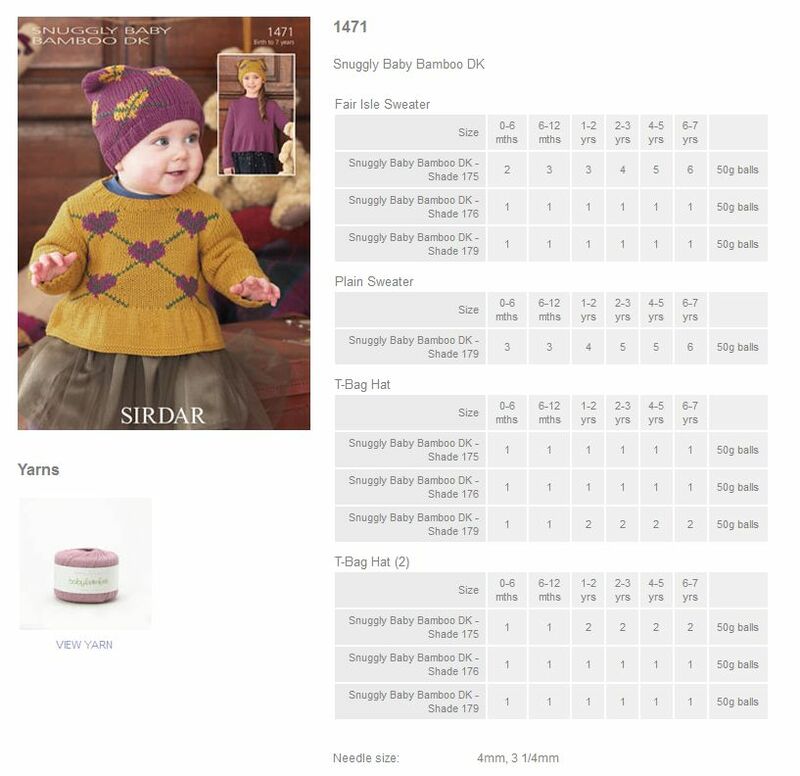 1471 - Fair Isle Sweater, Plain Sweater, T-Bag Hats using Baby Bamboo DK Leaflet with designs for a Fair Isle Sweater, Plain Sweater, and T-Bag Hats using Sirdar Baby Bamboo DK. 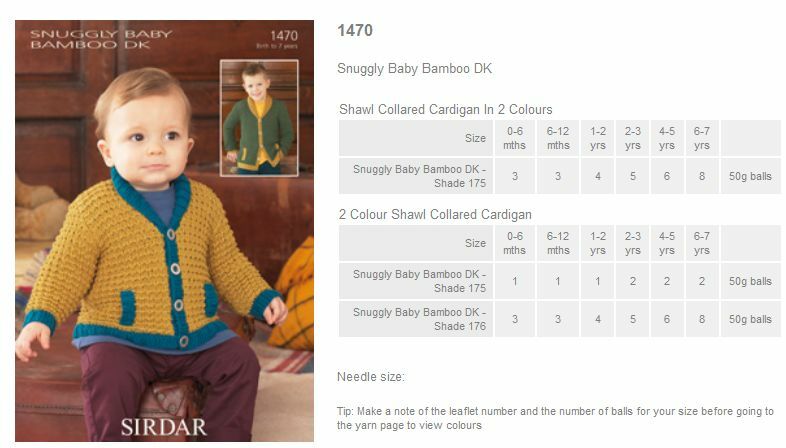 1470 - Shawl Collared Cardigans using Baby Bamboo DK Leaflet with designs for Shawl Collared Cardigans using Sirdar Baby Bamboo DK. 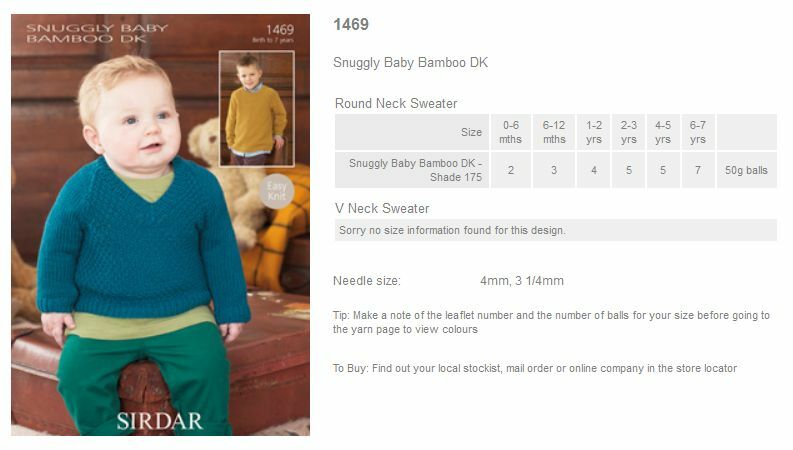 1469 - Round Neck Sweater and V Neck Sweater using Baby Bamboo DK Leaflet with designs for a Round Neck Sweater and V Neck Sweater using Sirdar Baby Bamboo DK. 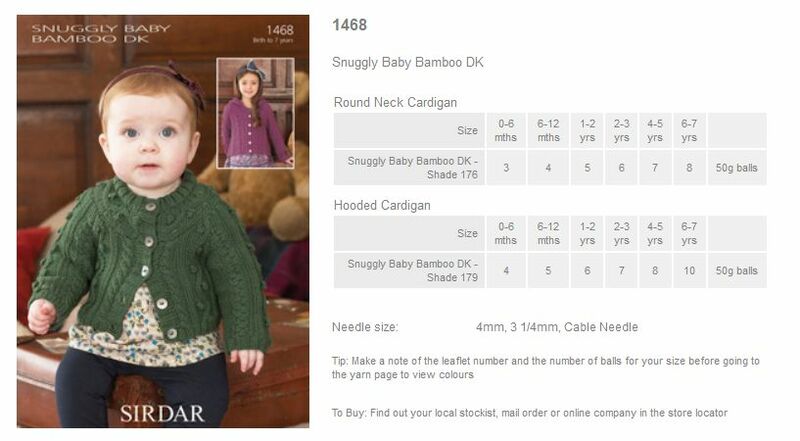 1468 - Round Neck Cardigan and Hooded Cardigan using Baby Bamboo DK Leaflet with designs for a Round Neck Cardigan and Hooded Cardigan using Sirdar Baby Bamboo DK. 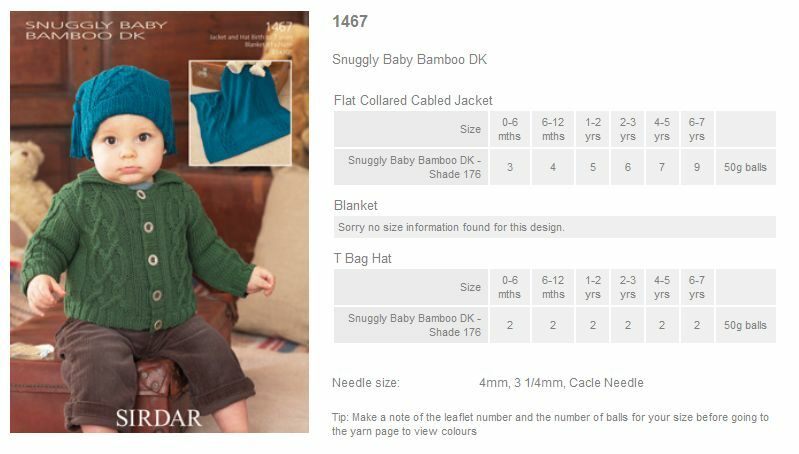 1467 - Flat Collared Cabled Jacket, a Blanket, and T Bag Hat using Baby Bamboo DK Leaflet with designs for a Flat Collared Cabled Jacket, a Blanket, and T Bag Hat using Sirdar Baby Bamboo DK. 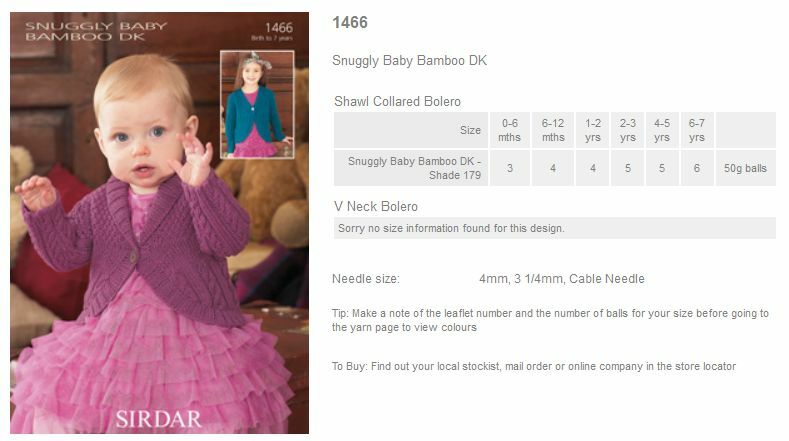 1466 - Shawl Collared Bolero and V Neck Bolero using Baby Bamboo DK Leaflet with designs for a Shawl Collared Bolero and V Neck Bolero using Sirdar Baby Bamboo DK.